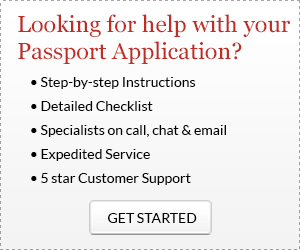 Expedite your Child’s Passport in 2-3 Business Days!Click Here! If both parents or legal guardians are not able to accompany the child to the Passport Acceptance Facility, the parent who will not appear in person must complete Form DS-3053, “Statement of Consent.” This is needed to prove that both parents wish for the child to be issued a passport. Form DS-3053 must have an original ink signature and must be notarized. 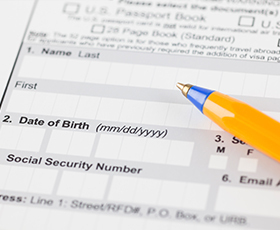 Proof of US Citizenship (birth certificate) – This must be an original or certified copy of a “long form” birth certificate showing both parents’ names. New Passport Application Form (DS-11) filled out online at www.pptform.state.gov. The child passport application form is the same one that is used by adults who need to get a new passport. Notarized “Statement of Consent” form (DS-3053) – if one parent is not able to go to the Passport Acceptance Agent, they will need to complete and sign this form and have it notarized. If both parents go with the child to the Passport Acceptance Agent, this form is not needed. Form DS-3053 must be notarized. My child’s eyes are of two different colors. How should I answer the “eye color” question? Please list the color of one of your child’s eyes. My baby doesn’t have any hair yet. What should I put down for “hair color”? You can state the color of your child’s eyebrows. The DS-11 application asks for the occupation and employer, but my kid’s too young to have a job! How should I answer this question? You may leave this question blank, as it’s only required for applicants over age 16. However, if your child goes to school, you may also list the occupation as “student” and put the school name in the employer field.